The Nebraska football team honored and recognized its 2016 team award winners at its season banquet at the Cornhusker Marriott in Lincoln on Sunday. The awards were presented to several members of the football team by head coach Mike Riley and his staff. A couple of notable awards went to Jordan Westerkamp, Tommy Armstrong Jr., Josh Banderas and Sam Foltz. 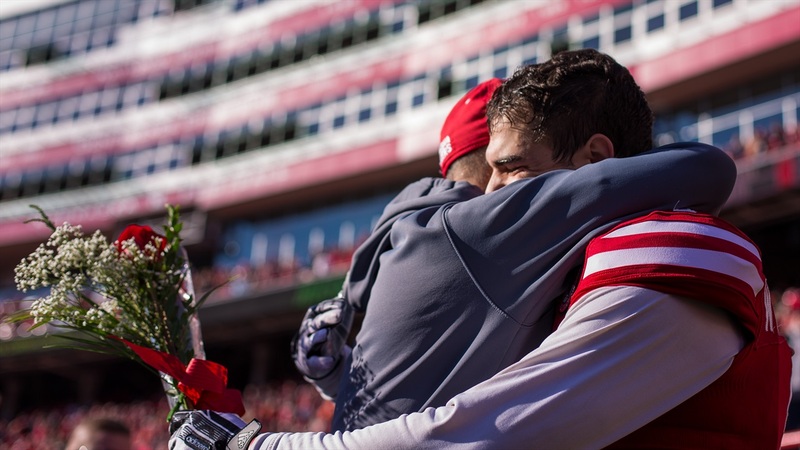 To start, Westerkamp was selected as the winner of the Guy Chamberlin Trophy, which is voted on by the media and given to a senior that embodies "the qualities and dedication of the great Cornhusker tradition." Armstrong was honored as the winner of the Tom Novak Trophy, which is one of the oldest Nebraska senior awards. Dating back to 1950, the award is "selected by a vote of media that cover Nebraska on a daily basis." Armstrong set career records in passing yards, passing touchdowns, total offense and total touchdowns over his career as a Husker. The Cletus Fischer Native Son Award was awarded to two Nebraska natives this year, which was extremely fitting. It is an award "given annually to a senior who is a Nebraska native and is named in honor of long-time Nebraska offensive line coach Cletus Fischer." This year's recipients were Josh Banderas and Sam Foltz. Drew Brown accepted Foltz's award on behalf of the Foltz family. The Novak, Chamberlin and Native Son award winners will also be honored at the Outland Trophy ceremony in Omaha on Wednesday, Jan. 11. Tom Novak Trophy: Tommy Armstrong Jr.